Kim came over for dinner, she likes pork. 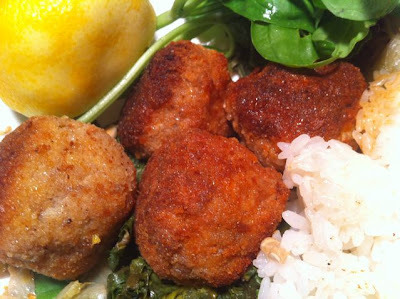 It was fun making up this meal: Pork meatballs with ginger, garlic, lemon and basil. 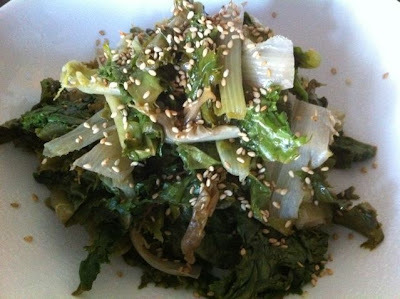 Sauteed chicory.